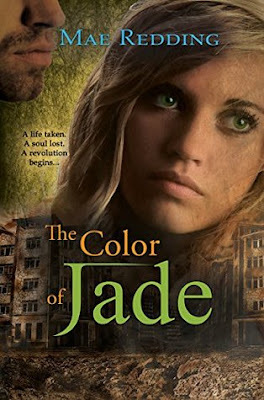 Synopsis: ‘The Color of Jade’ a YA post-apocalyptic, dystopian romance that fans of the Hunger Games and Divergent series will love. After a devastating illness ravages the earth, sixteen year old Jade Kennington finds herself caught in the middle of a battle between Morrison and his Militia who is threatening their way of life and her brother Kane who is trying to preserve it. She meets Gage. He is confident, strong, and incredibly handsome and he captivates her attention with his rugged charm and chivalry. After Jade inadvertently kills a ruthless and influential Militia member during a struggle, Morrison swears retaliation on the Kennington family. Forced to leave her home Jade finds herself in the uncertain position to trust Gage with her safety, her heart and to keep her hidden as they try to pull her into the middle of the inevitable battle. Review: As this is said to be like the Hunger Games and the Divergent series I was really excited to read this book and it did not disappoint me in the slightest. This book was full of action and adventure and I felt like I was a part of the story and not just the reader. This book crosses through many different genres so this will appeal to many readers. Books that cross many genres are much more exciting than books only falling into one genre. I would recommend this book to any reader that enjoys action and adventure and love to get lost in a book where they feel like they are living the story and not just reading a book. If there was a printed copy of this book I would definitely buy a copy and read it many times over.